PCX Power: With its 153cc liquid-cooled four-stroke engine, the PCX150 is great for urban commutes, trips around town, and is freeway-legal, should you need to head onto the highway. Plus, since it’s a Honda, you know it’s built to last. Save gas. Save time. Save money: How far can you go on a tank of gas? 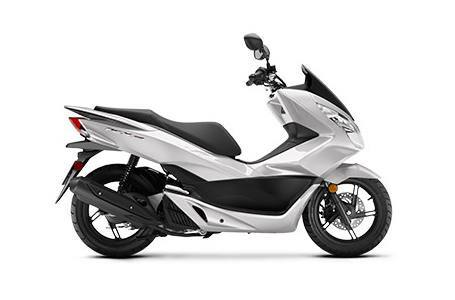 With its great fuel efficiency and a large gas tank, the PCX150 means less time spent on fill-ups and more time riding. And who doesn’t like saving money at the gas pump too? Looking good: Dual front LED headlights along with two great color choices and sharp bodywork really make the PCX150 stand out. Who says practical can’t look great too? Under-Seat Storage: Flip the seat open and you have room for a full-face helmet or an evening’s worth of groceries. The main compartment locks for security and is weather-resistant, too. There's even a second compartment in the dash for your phone, wallet, etc.